Solderless breadboard (MB-102). - MB102 Breadboard 830 Points. Detailed informatoin on the breadboard. - 1X Breadboard. 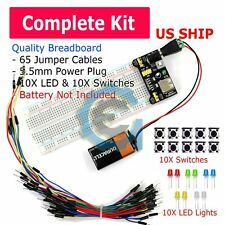 - 1X 65 PCS Breadboard Jumper Cables. - 49 pcs 120mm length. - 8 pcs 150mm length. Solderless breadboard (MB-102). 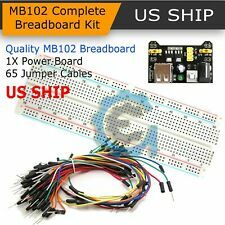 - MB102 Breadboard 830 Points. Detailed informatoin on the breadboard. - 1X MB102 Breadboard. - 65 pcs Assorted Jumper Cables. 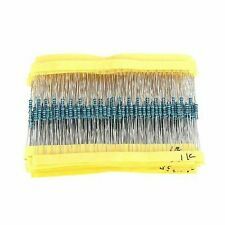 - 49 pcs 120mm length. - 8 pcs 150mm length. 2N5087 PNP 50V 50MA. TO-92 TRANSISTOR. Ceramic Capacitor Assorted. 50 values, 20 pieces each, total1000 pcs. Total 1000 pieces capacitor. 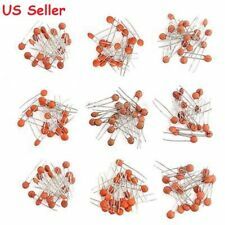 50 value, 20 pieces each, total 1000pcs. 15nf (153). 10nf (103). 6.8nf (682). 4.7nf (472). CH340G Replace FT232RL. New Blue Display stand for Arduino Developers. New Green Display stand for Arduino Developers. 1602 Blue Display stand for Arduino Developers. 1602 Green Display stand for Arduino Developers. 2 VARISTORS ( V150LA2P ). The Aqua-Rite Unit uses 2 LittleFuse V150LA2P Varistors. (This Kit contains1 Thermistor ,2 Varistors ,and 2 Fuses ). (It is possible the fuse may blow before the Thermistor or Varistors fail.). This is a new TT Electronics / BI Technologies 5K pot with a black rubber knob, mounting nut and washer. Total shaft length is 15mm and the knurled section is 6mm. The pot has 300° of rotation. 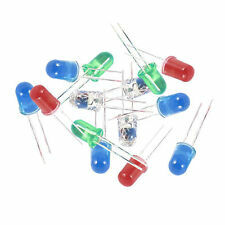 10 PCS IRF520 MosFet Transistors. If You Do Radio Mods This Is What You Want! Don't Buy Just Any IRF520 - You Won't Get The Power Out Of Them You Expect! The gain is internally set to 20 to keep external part count low, but the addition of an external resistor and capacitor between pins 1 and 8 will increase the gain to any value from 20 to 200. Low distortion: 0.2% (AV = 20, VS = 6V, RL = 8Ω, PO =. ). Black plastic enclosed ferrite core for 5 mm AC power cords. Great for cutting noise on USB, firewire, phone, power cord, coaxial, audio, video cables, etc. Reduce electro-magnetic interference and improve signal integrity. Designed for 18650 batteries. 64 different kinds of Resistor. 1 reset button & 1 general use button. Can be directly connected with Raspberry Pi. DC 12V-24V 8A Automatic Infrared PIR Motion Sensor. Wire color may vary. Keep this in mind when ordering if you live in Canada. Keep your wires as short as possible. You'll need a fine point soldering iron, solder, and wire cutters/strippers. Standard double-sided (can be soldered on either side) 15x20cm (57x74 holes) prototyping circuit board with 2.54mm pitch. Quality 1N4004 diodes at a great price! Trust my service. You will not be disappointed! 1N4004 Axial Lead Rectifier Diode. Junction Capacitance: 13pF. Forward Current (25°C): 1A. Your order is always assured to arrive quickly and in good condition. Electrolytic capacitor: 2200UF (C1), 22UF (C2), 220UF (C3). Monolithic capacitor: 0.1uF (C4). Resistor: 510 ohm (R1). Variable resistor: 10K (W1). Detailed step by step DIY instruction in English with pictures. 10X 10A10 Rectifier Diodes. - Polarity: Color band denotes cathode end. ambient temperature. /10 seconds, 0.375" (9.5mm) lead. This can only delay our service. You will be pleasantly surprised by our service. Simply remove the airbag and replace it with one of these resistors to bypass the airbag light. The 2.2 ohm resistor will simulate the airbag, making the car's SRS module think that a functioning airbag is installed. Looking for a 200V rectifier?. See ourKBPC5002 200V 50A Silicon Bridge Rectifier. Maximum average forward rectified output current at TA=40 C (IF(AV)): 50A. 3 x Pin headers. - Support 9V Battery Powered operation. - TTL level serial tranceiver port RX/TX. This can only delay our service. You will be pleasantly surprised by our service. - Clock frequency 16 Mhz. Solderless breadboard (MB-102). - MB102 Breadboard 830 Points. - 3X MB102 Breadboard. You will be pleasantly surprised by our service. This can only delay our service. Featured Item. Solderless Breadboard with 400 Tie Points. Detailed informatoin on the breadboard. - 3 PCS Breadboard as shown above. You will be pleasantly surprised by our service. This can only delay our service. 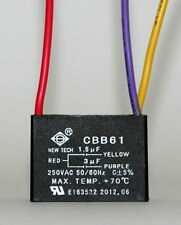 Output current up to 1.5A. Short circuit protection. 64 different kinds of Resistor. 1 reset button & 1 general use button. Can be directly connected with Raspberry Pi. - Current: 1A adjustable. - Input Interface: Micro USB. - New upgrade version with LED charging indicator. Lot of 5 Prototype PCB Universal Bread Board 5 x 10cm 540 Hole Sigle Side Copper. - Single-sided solderable prototype PCB. - 5PCS 5cmX10Cm PCB Boards. ,transistor,capacitor and so on. - 2.54mm standard pin spacing fits for most components for example:diode ,resistor. 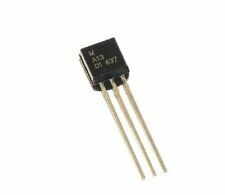 5 sets CD4017 CD4017BE 4017 DIP-16 DECADE COUNTER DIVIDER IC. Logic - Counter IC. with socket adapter (solder type). Logic Type:Counter. · Resistance: 10K Ohm (B10K). · Taper: Linear. 6 - Black Knob with Color Pointer (2x 3 Colors, Colors may vary from pictured). · Color Body / Pointer: Black / Varies. Our goal is to resolve any issue as quickly as possible. Standard double-sided (can be soldered on either side) 20x30cm (57x74 holes) prototyping circuit board with 2.54mm pitch. Note: These are very large 8"x12" (about the size of a standard sheet of paper). TEMCo ID: RC0102. Uf (mfd): 35/5. "I have always been delighted with the service from TEMCo.". About TEMCo. TEMCo Industrial. Choosing a new capacitor for your air conditioner. Format: Round. Temperature range: -40 to 85°C. It features thinner alumina plates (better thermal conductivity) than the more common TEC1-12705 and 12706, fatter wires, and can be run at up to 200 watts with sufficient cooling. While you can push a 12705 to 80 watts or more, all you'll get is heat. Thickness of 12 18cm board is 1.5mm, others are 1.2mm. - Got a problem?. No Problem. This can only delay our service. You will be pleasantly surprised by our service. 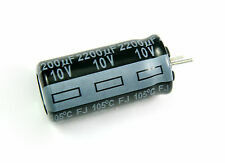 5 PCS 2200UF 2200mfd 25V Electrolytic Capacitor 105 degrees. FREE Trial! 1 x Attiny85 USB Board. - Support for the Arduino IDE 1.0 (OSX/Win/Linux). - 6 I/O Pins (2 are used for USB only if your program actively communicates over USB. 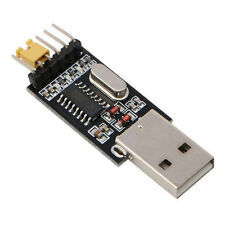 - Power via USB or External Source - 5v or 7-35v (automatic selection). ). Adjustable non-isolated DC buck voltage regulator, incredibly small module 17x11x3.8mm Great for LED lights, micro-controllers, battery chargers, and most other low power devices. Input: 4.75-23V, Output:1.0-17V, 3A Peak / 1.8A Sustained Efficiency: Up to 96% (depends on the difference between input and output voltage) This module uses synchronous rectification, the most efficient power conversion available. IC Generic Number: 555. with Socket Adapter (solder type). Leaded Process Compatible:Yes. SSW-2159US Salom Power Supply; Input: 100-240 VAC 0.6A; Output: 48 V BRAND NEW!